If your business is lacking and you want to know why, you might want to try some wellness programs. Hiring a wellness coach can take your business from blah to fabulous in a matter of time. It won’t happen overnight, but little changes can add up to big things long term. You might be wondering what a wellness coach can do for your business and what their role would be. Here are a few things you can expect. A wellness coach isn’t going to try to talk you or your employees into anything you don’t want to do. 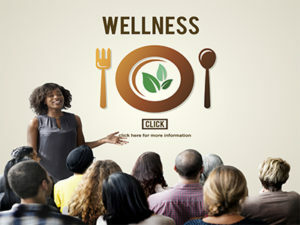 They will walk alongside you to find common, healthy goals that they can help you implement through wellness programs. The partnership has a common goal: better health. There is no one right way to get to that path. With a wellness coach as your partner, you can find the right road that leads to that path. Wellness coaches are experts in their field, just as you are an expert in your own industry. While people come to you for certain things, people go to them to get healthier and to revolutionize their businesses with wellness programs. They will treat you with respect and open honesty when it comes to health. Perhaps you will want them to consult with you in order to suggest where you could get employees to improve their health. They will help you recognize your strong and weak points along the way. A wellness coach wants every person they consult with to improve their health in a number of areas. Perhaps that person is stressed out. That would be an issue of the mind, but it can also manifest in the soul. A wellness coach will address healthy habits that relate to eating and exercise, but they can dive into other health-related issues as well. At times, it is obvious what is causing unhealthy habits. Other times, a workplace may have the habits, but not understand the root causes. A Wellness coach can explore the environment and the habits and get to the bottom of it. Then, you can all work to make changes as a community together to improve your health and happiness. Relationships can improve along the way and the entire workplace will become a better place as a result. If you are ready to make positive changes both in yourself and in your workplace, speak to a wellness coach at E3 Consulting. Perhaps you need to address ergonomics in your business or maybe you need some incentives to go along with wellness programs. Your wellness coach will help you figure out the specific needs your business has and work up a plan to help you change things over time. Nothing happens overnight, but the benefits are worth the time and effort you’ll put into your program.